Does Vitamin D Deficiency Cause Thyroid Issues? A recent controversy surrounding vitamin D deficiency, thyroid problems, and other links between thyroid disease and vitamins points to the complex interaction among genes, diet and health. Thyroid problems may be caused by an array of issues including autoimmune disease, deficiency of key vitamins like vitamin D, or even the body's genetic predisposition towards needing more vitamin D to compensate for poor absorption. Located at the base of the neck, the butterfly-shaped thyroid gland is part of the endocrine system in the body. Its primary function is to control and regulate metabolism. The thyroid secretes numerous hormones that guide metabolism, heartbeat, blood pressure and other key physiological processes. What Vitamin Deficiencies Cause Shortness of Breath? When the thyroid gland malfunctions, the entire body may be affected. An under active thyroid, also called hypothyroidism, may result in weight gain, fatigue, extreme cold, and increased menstrual periods in women. When the thyroid gland's activity increases beyond normal, a condition called hyperthyroidism develops. Symptoms include pounding heartbeat, extreme anxiety, rapid weight loss and raised temperature. In rare cases, hyperthyroidism results in dangerous increases in heartbeat and blood pressure that require hospitalization. While several factors may result in either condition, the most common causes are autoimmune diseases called Graves disease (autoimmune hyperthyroidism) and Hashimoto's thyroiditis (autoimmune hypothyroidism). An autoimmune disease is a disease in which the body's immune system, which normally protects against invaders such as viruses and bacteria, becomes confused and attacks healthy tissue. In this case, the immune system attacks the thyroid gland, causing it to malfunction. Both Graves and Hashimoto's thyroid diseases are diagnosed by a physician through a series of blood tests. These blood tests measure thyroid stimulating hormone (TSH) and various thyroid hormones. They may also test for certain antibodies for each thyroid disease. A physician who specializes in the endocrine system, called an endocrinologist, treats thyroid diseases. After an endocrinologist determines that either Graves disease or Hashimoto's thyroiditis is at work in the thyroid disease, he or she may prescribe medication, radiation or surgery. If radiation or surgery is used to treat thyroid diseases, the patient typically must take thyroid hormone replacement medication. Many people know of the link between vitamin D deficiency and a bone disease called rickets, once common among children. Researchers are now discovering the link between vitamin D deficiencies and thyroid problems. Vitamin D is a fat-soluble vitamin that may be obtained through exposure to sunlight or by ingesting Vitamin D-rich foods. While it's possible to overdoes on vitamin D through supplements, most people actually get too little vitamin D in their diet and too little exposure to sunlight. 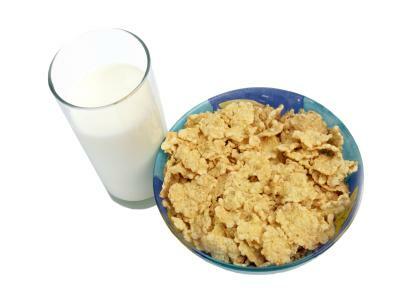 Many foods are fortified with vitamin D, including milk and dairy products, cereals, and orange juice. Most people don't get enough Vitamin D.
The body can also manufacture and store vitamin D through exposure to sunlight. Using sunscreens, which most dermatologists recommend to prevent skin cancer, unfortunately cuts off the particular type of sunlight the body needs to manufacture vitamin D. Short bursts of sun exposure without using sunscreen may help the body manufacture enough vitamin D without unduly exposing it to harmful rays that increase skin cancer risk. Vitamin D does many good things in the body. Vitamin D helps the body maintain normal blood levels of calcium and phosphorus. That's why many people think of vitamin D and its impact on bone health, since calcium and phosphorus are vital to healthy bones and teeth. Some researchers today, however, believe that vitamin D may have an even more important role in maintaining health. This includes the link between vitamin D deficiency, thyroid and endocrine health. Dr. Theodore Friedman, a noted thyroid expert and endocrinologist, published a paper entitled Vitamin D and Thyroid Disease. In this paper, Dr. Friedman summarizes over 20 years of studies pointing to low vitamin D levels in thyroid patients, particularly hypothyroid patients. 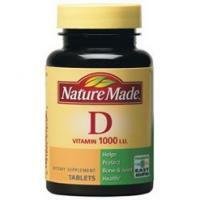 Vitamin D interacts with the body's complex biochemistry to help or hinder thyroid production. Patients may have a potential genetic condition in which their intestines are unable to absorb vitamin D, or perhaps their bodies cannot use vitamin D properly. The result is that the body has too little vitamin D at its disposal, even if the patient is taking in the RDA for the vitamin. Other studies support Dr. Friedman's assertions. The U.S. National Library of Medicine lists a paper on vitamin D and thyroid hormones that also suggests the possible complex interaction between this essential vitamin and the thyroid gland. Too little circulating vitamin D may hinder the body's ability to produce and regulate thyroid hormones. If you suspect a vitamin D deficiency may be contributing to or causing thyroid problems, talk to your doctor or endocrinologist about testing for vitamin D levels in addition to thyroid disease screening. Before using additional supplements, invest in a good multi vitamin to ensure you're getting the recommended daily allowance of vitamin D. Short exposure to sunlight, particularly in spring and summer, may also help. It's especially important for patients currently taking thyroid hormone medication to be cautious about using vitamin D supplements, as the vitamin D may cause unsafe changes in thyroid hormone levels. Patients taking thyroid medication should only use vitamin D supplements under the guidance of their physicians. Links between vitamin D deficiencies and thyroid problems are still being studied, but the human body is infinitely more complex than we have even begun to imagine. The interplay of diet, genetics, and environment may yield exciting answers to questions about disease and health, for which the use of supplements may prove to be an even more valuable tool in the fight against disease.